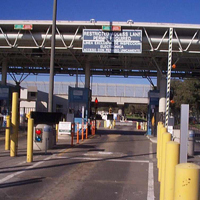 The U.S. Customs and Border Protection (CBP) agency is set to open a new Ready Lane at the San Ysidro port of entry for persons crossing the border with RFID-embedded travel documents. The new Ready Lane at San Ysidro will operate 24 hours a day, granting access to travelers with valid documentation such as the U.S. Passport Card, SENTRI card, the new Legal Permanent Resident “green card” and the new Border Crossing Card. “RFID-enabled cards together with the new Ready Lane will allow officers to screen travelers faster,” said Chris Maston, director of field operations for CBP in San Diego. The Ready Lane supports the ability to capture an entire group of travelers, in one vehicle, who may have different types of RFID-enabled travel documents. The planned Ready Lane at San Ysidro follows the successful opening of a Ready Lane at the Otay Mesa port of entry, which also reduced wait times and eased traffic flows.